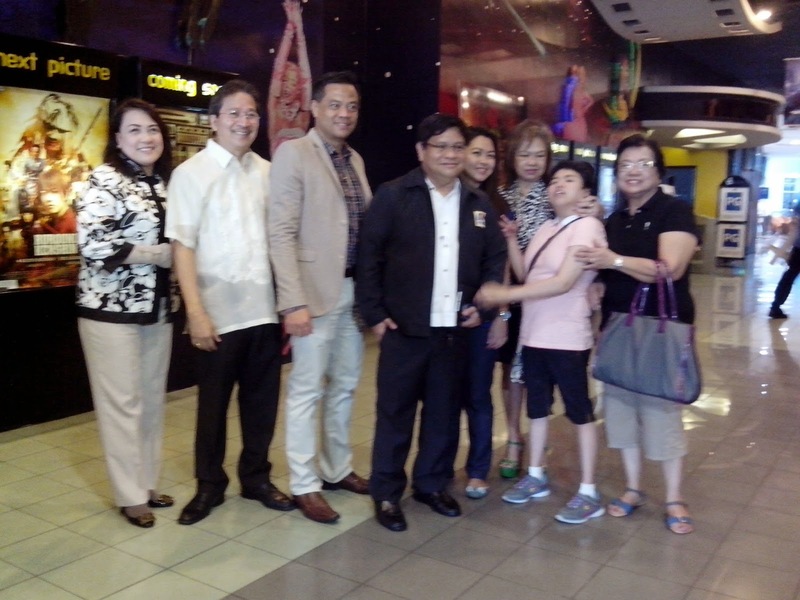 Last August 15, persons with hearing and visual impairments were treated to a special movie screening at selected SM Cinemas in the country. 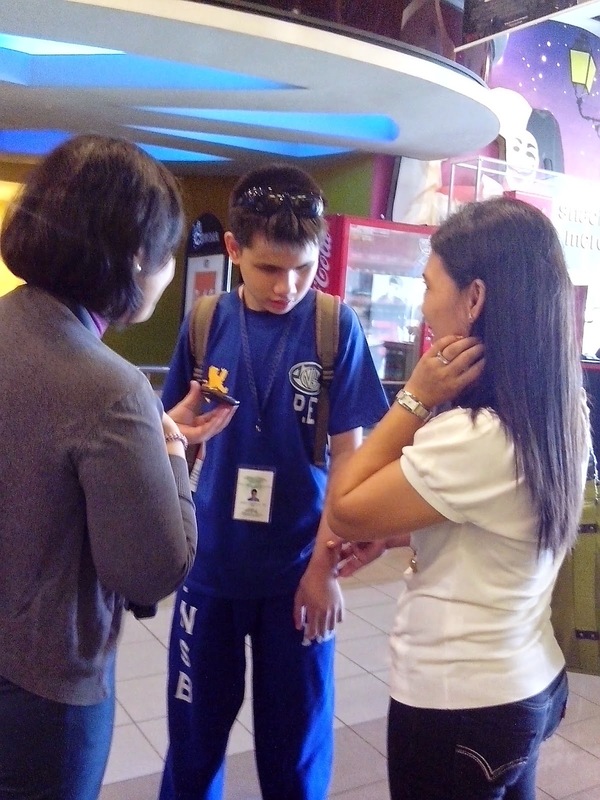 This momentous event is spearheaded by SM Cares, a division of SM Foundation, through its Program on Disability Affairs in partnership with SM Cinema, Deaf-Blind Support Philippines, MTRCB and Center for Advocacy, Learning and Livelihood (CALL). 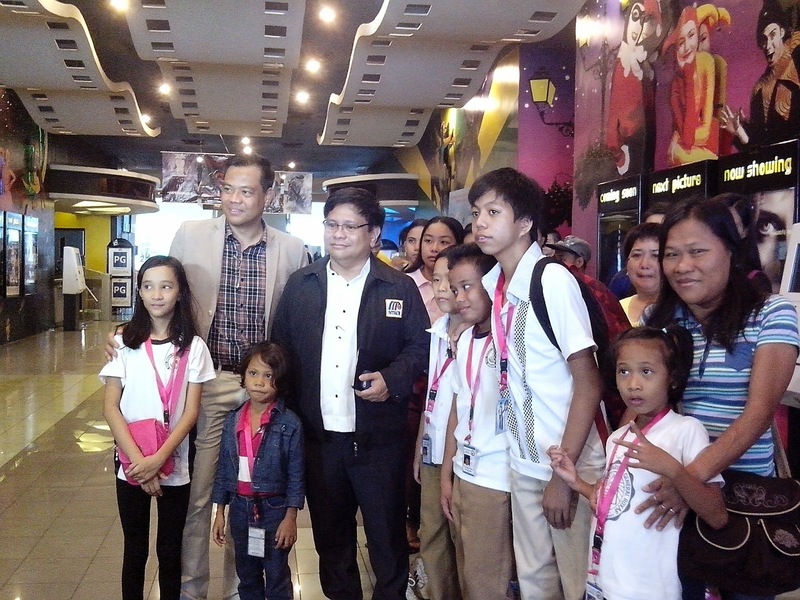 SM North EDSA hosted the event here in Metro Manila with the special screening of Hugo. 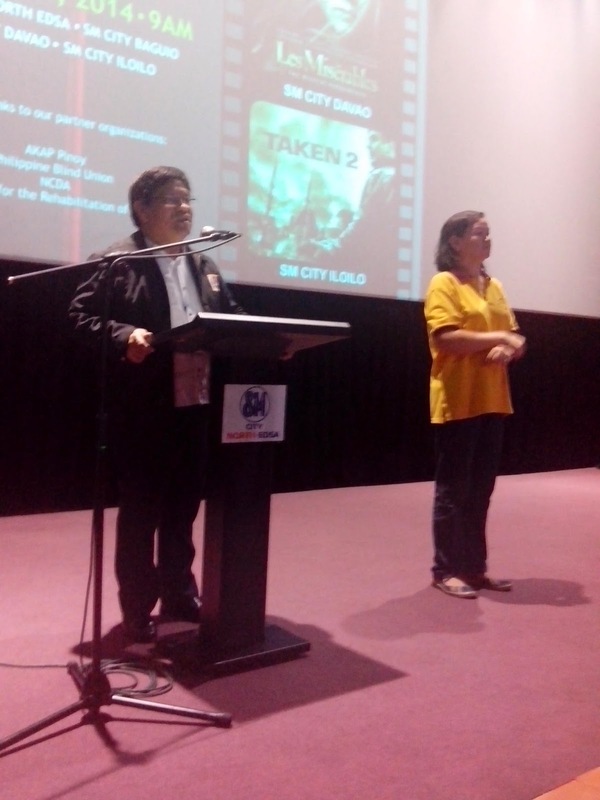 Other SM Cinemas who participated in the event are SM Baguio (Life of Pi), SM Davao (Les Miserables), and SM Iloilo (Taken 2). The movies have an audio-description and subtitle to benefit both the visual and hearing impaired persons. 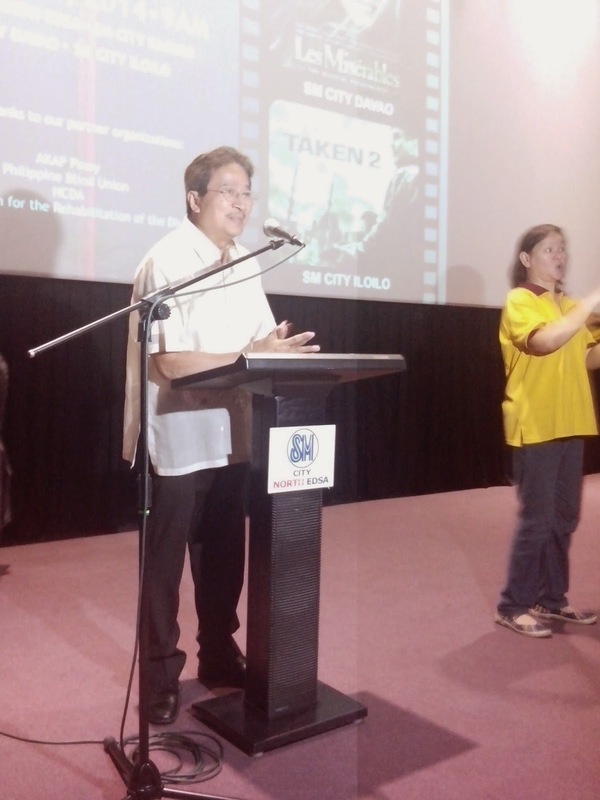 MTRCB or Movie Television Review and Classification Board expressed strong support for this project. 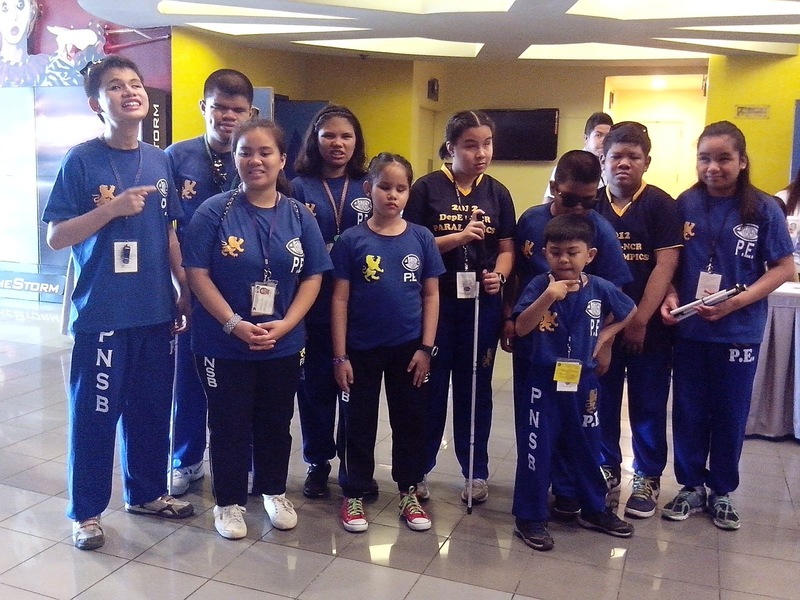 Other supporters include AKAP Pinoy, Philippine Blind Union, National Council on Disability Affairs (NCDA), and the Philippine Foundation for the Rehabilitation of the Disabled (PFRD). 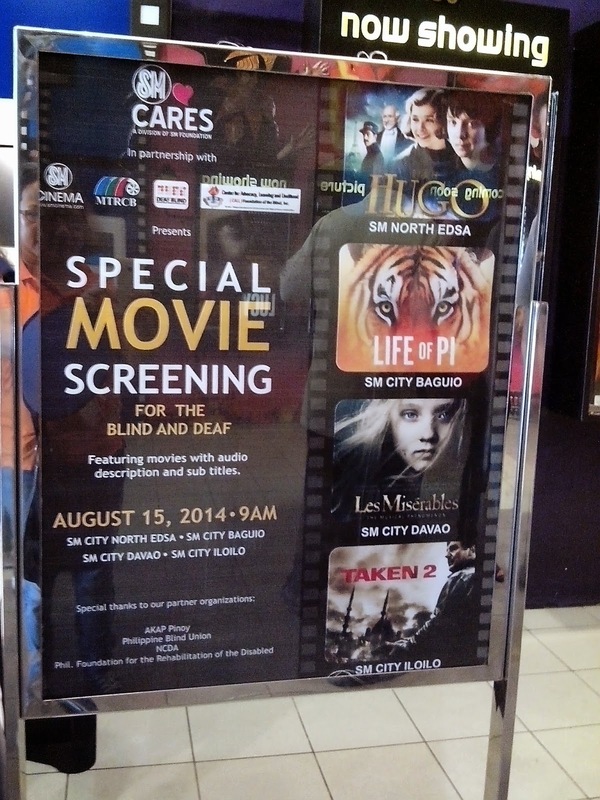 SM Cares already conducted a test run of this great project last year and it was met with positive results so they decided to host this year's screening in SM Malls to accommodate more persons who are visually and hearing impaired. And they are also keeping their fingers crossed so that this once a year event will eventually turn into a quarterly event. Bravo SM Cares and SM Foundation!